Against the backdrop of several complaints emanating from the banking public over services delivery and security in Nigeria’s nascent mobile banking environment, the Central Bank of Nigeria, CBN, is set to further improve the system. The apex bank has also indicated that its consumer protection department is inundated with petitions and complaints mainly from the mobile banking activities. Vanguard MoneyDigest inquest into the nature of the complaints shows that most of them relate to loss of money due to either malfunctioned platforms or outright fraud. At the Vanguard Economic Forum Series, recently, CBN’s Director of Banking and Payment System Department, indicated that the apex bank is aware of the challenges in the mobile money services and is set to address the problems as they have already emerged while putting structures and procedures in place to forestall other forms of services failures in the banks that undermine customers’ satisfaction and security of their money. He stated: ‘‘The CBN is currently reviewing the structure and processes of mobile money to make us becoming more responsive to the emerging new financial services landscape. Fatokun also noted that Nigerian banks are aggressive in the application of financial technology, Fintech, in delivery of services, and are globally competitive in this area. According to him, ‘‘Not only has Nigerian banks embraced technology; we are also deploying what I will call a high level of anti-fraud mechanism by the banks. Ask our friends all over the world, in how many jurisdictions do you actually receive alerts on volume of transactions? Very few; then how many jurisdictions have your transaction declined because it is not in pattern with your behaviour? Not many. But he acknowledged that in addition to the weak lines in banks that have prompted the huge number of complaints, illiteracy also accounts for the problems in the mobile money services. This, he said, may have resulted in a high rate of exclusion in the financial sector at a time the apex bank is already pressed for time in delivering the financial inclusion target of 80 percent by 2020. He stated: “However, the big challenge is the issue of education across financial sector. For the high rate of exclusion, we need the tools in certain areas. ‘‘There is need to provide all types of consumers, whether they are first account owners or not, the services. ‘‘However, there is the need to have raised some advocacies to challenge financial illiteracy. Failure to do that, this challenge will continue to exist’’. Earlier in a forum organized by Bank Customers Association of Nigeria, BCAN, in Lagos, the Acting Director Consumer Protection Department of the CBN, Mr. T.Y Ahmed, representing Governor of the CBN, Godwin Emefiele, said following the last global financial crisis, the relationship between consumers and their service providers is being continuously scrutinized as one of the contributory factors to the crisis was inadequate consumer knowledge and protection. He explained: ‘‘The crisis demonstrated that the cause of financial system stability is best served when consumers are knowledgeable about their obligations and rights. ‘‘In this regard, many jurisdictions have reconfigured their regulatory architecture to reflect the compelling need for improving customer awareness. ‘‘In Nigeria, the Central Bank of Nigeria created a Consumer Protection Department in 2012, to among other functions, educate customers of their rights and responsibilities’’. But at the backdrop of the apex bank’s containment measures, Ahmed has also seen some major challenges in achieving the desired objectives. These challenges may have reflected in the nature of complaints streaming into the consumer protection department of the apex bank, which he indicated, are mainly arising from digital banking services. He stated: ‘‘The Nigerian banking industry has over the years grown in terms of capitalization, customer base and diverse products and services including digital financial services. ‘‘The level of consumer awareness and sophistication in the industry, however, leaves a lot to be desired as demonstrated by findings of many studies as well as the nature of complaints received at the CBN from customers of banks’’. 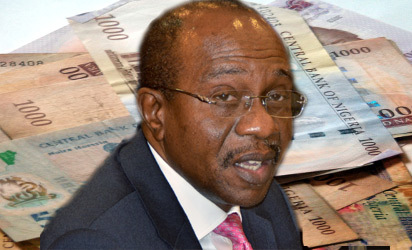 For the CBN, according to him, ‘‘the vision is consumers that feel confident and secure to participate in the financial system; financial institutions that demonstrate responsible business conduct in their dealings with customers; and regulatory authorities that proactively engage customers, operators and other stakeholders for the good of the financial system’’. For Professor Segun Ajibola, Dean Caleb University, and immediate past President of the Chartered Institute of Bankers of Nigeria, CIBN, the difficulties in the mobile banking space is inevitable given the state of Nigeria’s financial and bank knowledge as well as the quality of manpower. He also said the problem differs amongst banks with some more responsive to the problem than others. He stated: In digitalized banking, PoS, ATMs, etc, things can go wrong. Yes things do go wrong. We are in the system. But there are some banks now they have introduced maybe the next revolution. Immediately a transaction goes wrong either PoS, the ATM or whatever, there is an active reversal. There are some banks and there are some banks where you will spend two three days or even weeks. ‘’At least I had experience to share. I was in one supermarket and there was a failed transaction. I have to look for cash and pay and as I was leaving the premises, the two alerts (debit) sounded and I called the bank. They said I should write and if I am lucky within two weeks it would be resolved. I said I will come and scatter your branch if I wait for the next two hours and I don’t get my money back. I got my money. ‘‘At times it is the key problem of our stage of development, the efficiency at which banks serve the customers; some of these things are not rocket science. If a bank put in place a system that will ensure active reversal of failed transaction, why can’t other banks do it? ‘‘These are some of the issues people raise with the Body of Banks’ Chief Executive Officers in CIBN that we should find a way of serving the customers better. Also speaking Yvonne Isichei, FCIB, former Executive Director, Keystone Bank and Council member of the CIBN, said to uphold the right of the customer the banks must inform the customers enough about the products and services that they offer to minimize the role of ignorance in the services failures. According to her, abhorring key examples that comes to mind is in the area of electronic banking. She stated: ‘‘There are a lot of issues around it. You have to ask questions from the banks and some of these issues are confirmed. ‘‘So we must know what we are letting ourselves into as customers and make sure that the contract and what you do is right with what the product is about. ‘’It is important that you ask questions. They may throw a lot at you but you want to be sure that you are getting what you need. You have to protect your own instruments, your own password, your checkbooks and your phone when you go into the banking contract. Personal safety of the assets that is what comes in here. ‘‘You have to report also what you consider a suspected fraud or errors or something you suspect that is going wrong and update your personal information. We all make mistakes. ‘‘It is never a problem until a day there is a problem then we realize that we didn’t do what we should do. ‘‘As we go forward we will notice that from the time mobile banking started we have more of the complaints going in that direction. ‘‘We have a lot of complaints in the area of mobile banking, ATM card text errors and account management issues as well as PoS. These are the major issues. ‘‘The whole idea is for us to have less complaints and people to be more satisfied’’. However, despite the difficulties in the mobile banking services, President of BCAN, Dr. Uju Ogubunka, believe it is a welcome development in the Nigerian banking environment. But he advised that the apex bank should include it in its financial inclusion strategy document in other to achieve the desired objectives. Speaking to Vanguard MoneyDigest on the issue, Ogubunka who was the immediate past Chief Executive of the CIBN, stated: ‘‘Since the Central Bank of Nigeria (CBN) launched the National Financial Inclusion Strategy in October 2012, that is, six years ago, some progress has reportedly been made towards achievement of some of the objectives of the programme. ‘‘However, it is doubtful whether all the objectives will be achieved come the target date, 2020 (two years from now). ‘‘The economic difficulties the country is going through have negatively impacted on citizens’ income. Thus, their capacity to want or seek to be included in the formal financial system is unlikely to be a priority to the majority of the unincluded. ‘‘Against this reality, it can easily be imagined that the financial inclusion project is faced with serious challenges. ‘‘But assuming the challenges are addressed, CBN and other identified major stakeholders in the strategy document will need to review the enablers of financial inclusion to accommodate Information Communication Technology (ICT)’’.